Film industry giants like Danny Glover and Dana Carvey attended SF State, and this Friday a new class of possible stars will get their time to shine on the silver screen. The 52nd Film Finals are just about ready to hit the limelight. 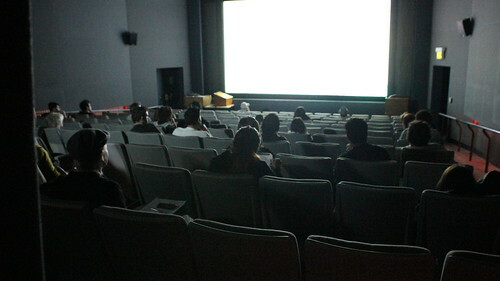 About 70 documentaries, live action and animated films were submitted by cinema majors last semester, and a panel of student judges spent all Monday and Tuesday pouring over the submissions to pick out 15. At that ripe age, the screening is older than much larger festivals like Sundance and Tribeca. It doesn’t get half the attention that festival head and lecturer Alexander Farrow thinks it deserves though, and he wants to change that. Students from the Cinema 506 class have been working to produce the festival for the last five months. The group of 20 or so students was split into committees which were responsible for the promotions, creating a trailer and polishing every other detail of this festival. Na was also involved in making a few movies that were submitted to appear. He said that, like him, many of the students are involved in multiple aspects of production, from doing background acting to helping with light and sound. Funding for the festival is given through the department, though an amount was not stated. Films start at 7 p.m. Friday, May 11 in McKenna Theatre. Tickets are $5 for students and $7 for general admission. While the title for this year’s festival is “See Things Differently,” Farrow said a deeper theme is the great work produced by the department. Daniel Bernardi, who joined SF State as the cinema chair this year, has worked in the film departments at Arizona State University and the University of California, Los Angeles as well as others. He’s excited to “sit back and be wowed” during the show.